This container has same-length flaps that are equal to the width of the box. This style is a great choice when the need to endure rough handling is key. FOLs can be printed in up to three colors. We are providing Full Overlap Carton. We are reckoned as one the leading names in this business, indulged in offering a supreme quality range of Full Overlap Carton. This Full Overlap Carton is offered in numerous styles, shapes and sizes and is highly demanded in global market. 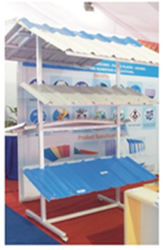 Also, our products can be customized as per the requirements of our clients. - This container has same-length flaps that are equal to the width of the box. This style is a great choice when the need to endure rough handling is key. FOLs can be printed in up to three colors. Our company has gained name and fame in presenting Full Overlap Carton . We are one of the most active manufacturers of Full Overlap Cartons. We are supplying best quality Full Overlap Cartons to many leading companies. 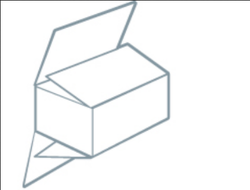 We offer completely genuine prices for these excellent quality Full Overlap Cartons. Owing to the years of industrial experience, we have been able to provide our valued clients with a wide range of Overlap Slotted Carton. Our company has gained name and fame in presenting Full Overlap Carton Box. TCPL caters to Indian and global liquor companies for their packaging requirements that include folding cartons and fluted cartons. TCPL also works with its customers to create customized packaging for special occasions and festivals. With a Full Overlap Slotted Carton or boxes, all "length" flaps are also equal to the width of the box. The flaps actually fold over one another to provide added strength and protection to the top and bottom.They flaps on ends fold and overlap completely Item can be taped, glued, or stitched closed. With a Full Overlap Slotted Carton or boxes, all "length" flaps are also equal to the width of the box. The flaps actually fold over one another to provide added strength and protection to the top and bottom. They flaps on ends fold and overlap completely Item can be taped, glued, or stitched closed.